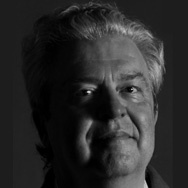 Stephen R. Lee was co-founder and principal of TAI+LEE, Architects PC. Since he was appointed to a five-year term as Head of the School of Architecture at Carnegie Mellon in 2009, he nows functions as consulting principal for the firm. At CMU, he is the track chair of the Master of Science in Sustainable Design degree and has been the faculty adviser for the School’s Solar Decathlon teams. His teaching activities have resulted in the integration of undergraduate courses related to design, environment, materials, structures and construction. Professor Lee’s scholarly and practice activities focus on issues of systems integration, product innovation, renewable energy and the integrated design process for high performance buildings. He provides sustainable design consulting services for institutional and commercial clients in Europe, Asia, Canada and the United States. His consulting work with the PA Department of Environmental Protection resulted in a new standard for healthy, flexible, adaptable and energy and environmentally effective buildings in the Commonwealth. A partial list of innovative sustainable projects includes the Armstrong World Industries Susquehanna House (Lancaster, PA), the Jean Canfield Government of Canada Building (Charlottetown, PEI), the PA Department of Environmental Protection South Central Regional Office Building (Harrisburg, PA), Alcoa Fjardaal Smelter (Reydarfjordur, Iceland), Pittsburgh Green Innovators, the Training Facility for the International Union of Operating Engineer’s and Phipps Conservatory (Pittsburgh, PA) and the Robert L. Preger Intelligent Workplace, Stever House, Henderson House, the CIC Building, the Gates–Hillman Center and Nano/ Bio/ Energy Facility (Carnegie Mellon Campus).